When was the last time you received a handwritten love letter from someone? If you can truthfully say that you’ve received one in the past year (or even the last 5 years), you’re among the few. No longer do we take pen to paper to express our desires and deepest sentiments to others, or wait for days, weeks or months for a response. Now, we can communicate and form relationships with just a few keystrokes or the setup of an online profile. What may arguably be the largest repercussion from such a transition is the fact that we’ve diverted away from writing letters to profess our feelings for someone or for pursuing a romantic relationship, despite this being a method we fawn over in novels and film. 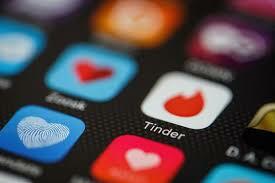 Today, looking for love consists of scanning through hundreds of profiles on Tinder or Bumble for someone we might find attractive or interesting, swiping right (or left! ), and impatiently awaiting a “match” from someone on the other end. No longer do we cultivate patience and thought through letter-writing, but instead, anticipate instant gratification with notifications like, “You have a new match!” or even, “You’ve been super liked!” We’ve compartimentalized ourselves into 4-5 pictures and a sentence-long bio, to hopefully exchange messages with a potential partner. Using Tinder or Bumble certainly seems a lot easier than exchanging love letters, so why do we continue to romanticize them, wishing that things could be just a little more “old fashioned”? What do letters have that Tinder or Bumble lack? In pre-World War II Hungary—amid post-Great War austerity and the confusion and tension it provoked—writing love letters provided refuge for expression and happiness and were often laden with emotional and illustrative language. In the 1963 musical She Loves Me, Georg and Amalia are combatant with each other in their workplace, yet regularly send anonymous love letters back and forth as pen pals (via what one would call a “lonely-hearts” ad). Both are unaware of who they are actually communicating with as they bicker in person by day only to turn around and profess their love for each other through paper and pen each night. 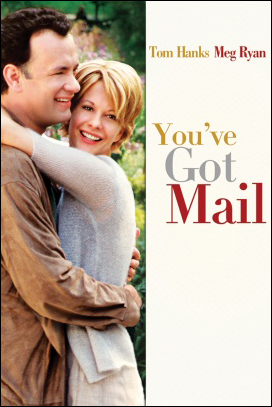 The same storyline can be found in the 1998 film You’ve Got Mail, with Tom Hanks and Meg Ryan’s characters exchanging anonymous emails back and forth with each other. The two lovelorn bookstore owners are glued to their computer, waiting to hear the “ping” of an new message from their desktop, similar to how we now wait for our phones to light up with notifications from someone special. As a Gen Z college student, I can confidently say that even the notion of writing someone anything slightly reminiscent of a love letter would be scoffed at by my peers. My generation has become so acclimated to communicating or meeting people online with little to no physical effort required. Even the mere thought of taking pen to paper—a task susceptible to errors we’d have to scratch over or and open to ridicule for things like sloppy handwriting—overwhelms us. 1. Personalization → Whenever we receive a message from someone on our phones or computers, chat bubbles aren’t different colors, the notifications are uniform, and the text is a standard format provided by a website. Handwritten letters can be decorated or written differently for each recipient. In She Loves Me, Georg mentions that Amalia drew smiley faces in all of her ‘o’s, which added a bit of personal flair to their conversation. Handwriting alone is so personal as to quicken the heart at the sight of it on an envelope. Digital communication has no analog. 2. Thoughtfulness → It takes time and effort to put your thoughts to paper. Arguably your should say the same about sending messages online or through text, but it physically takes more time to write by hand. Writing a letter also requires reflection, which we often lack when we shoot a quick message to someone. Maybe we should allow Georg and Amalia’s unlikely romance to influence us to go back to writing love letters, hopefully teaching my generation (and even the one before) the value of building patience, putting thought into our communication, and holding on to things we love. Need love letter inspiration? Catch Georg and Amalia in She Loves Me, on stage through December 9. Get your tickets today!